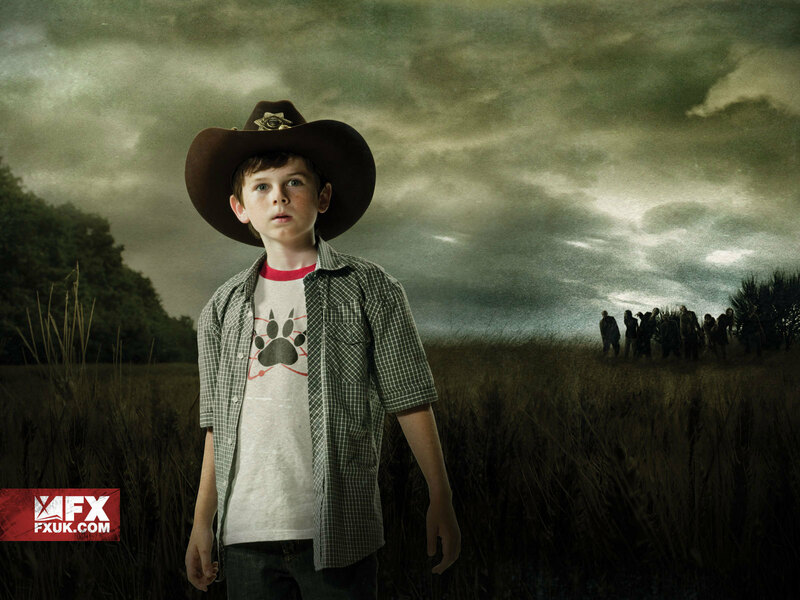 Carl Grimes. . HD Wallpaper and background images in the 《行尸走肉》 club tagged: the walking dead season 1 chandler riggs carl grimes. This 《行尸走肉》 wallpaper contains 软呢帽, 毡帽, 斯泰森, fedora, homburg, trilby, 洪堡, and 斯泰森帽. There might also be 船工, 里窝那, 巴拿马帽子, 水手, 撇油器, 草帽, 船头, leghorn, 巴拿马, 巴拿马草帽, 撇乳器, 撇渣器, 捕捉帽檐帽子, snap brim hat, 管理单元边帽, 帽子系列, 活动帽子, and 运动帽子.